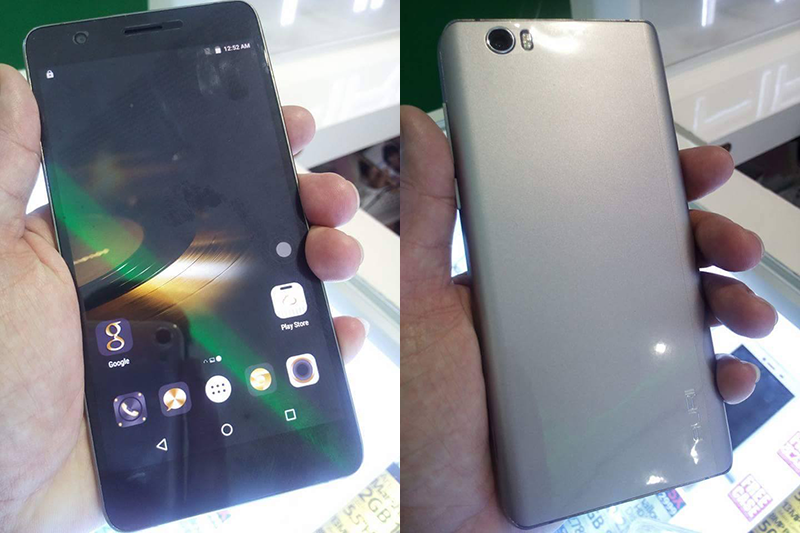 After teasing a new handset on Facebook, Firefly Mobile's upcoming Aurii Passion 4G was spotted by one of our frequent tipster. The handset comes with a full metal frame and 5.5 inch HD IPS LCD w/ 10 points of touch paired with a "power efficient" octa core processor inside. It has 3 GB of RAM, 16 of expandable storage, and highlights a LARGE type of 4,450 mAh of battery capacity w/ OTG / reverse charging feature. 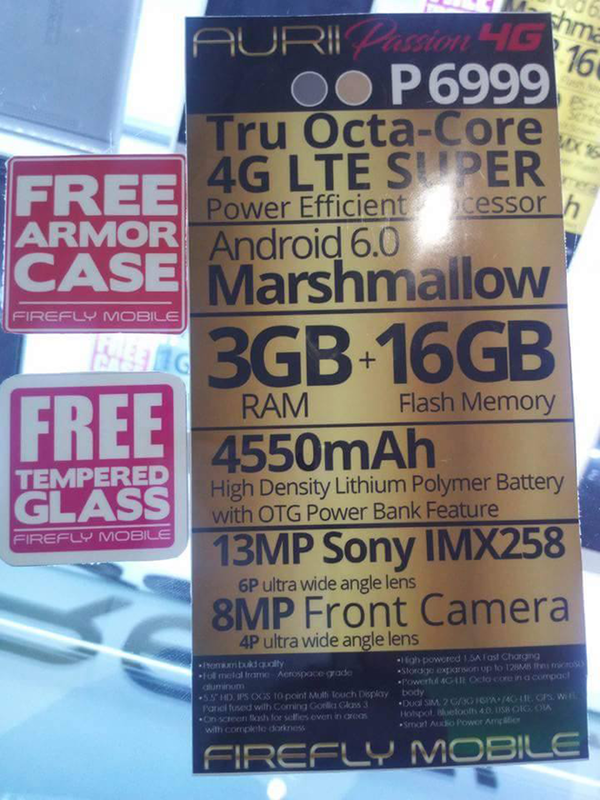 Firefly Mobile Aurii Passion 4G leaked specs! For the cameras, the entry-midranger has a 13 MP Sony IMX258 sensor behind and 8 MP wide angle camera in front w/ on-screen flash. The Firefly Mobile Aurii Passion 4G comes with a FREE tempered glass and case for PHP 6,999. Thanks for the tip Russell Antonio!